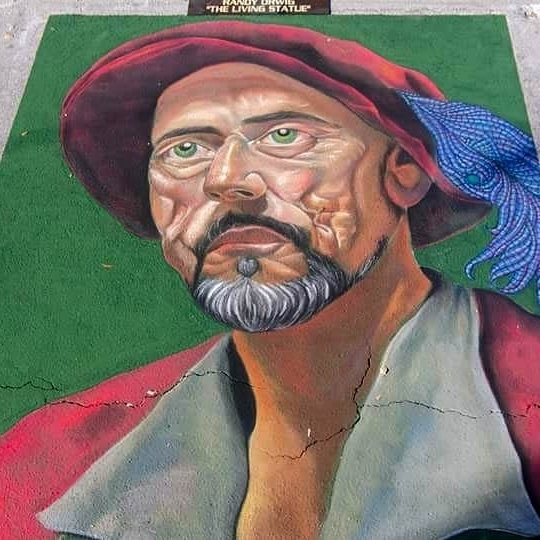 Genesis has devoted her life to the Arts as a freelance artist and as an art educator, and was a lifelong spectator to the Lake Worth Street Painting Festival in her hometown of Lake Worth, Florida since she was a child. Her first Chalk Art was as a Junior at A.W. Dreyfoos School of the Arts at the very same festival she loved attending. What started as a passionate and joyous avocation throughout the years since 2005, grew into a lifestyle she can't get enough of. She plans to raise her twin daughters in SE Florida where her family surrounds her, as they have done since she was a child. For that reason, roots hold special meaning in Genesis's artiwork. The touch of fantasy added can range from her interpretation of classic art, characters, scenery, cartoons, or even a Nicaraguan legend. Genesis now travels all over Florida, getting her toes wet in other states, sharing her unique, colorful style, and her ever growing knowledge of Chalk Art with the community that she holds dear. She loves to experiment with her artistic 'Coil Effect' style techniques, surfaces and mediums. When not at events you can find her painting and teaching at A.W. Dreyfoos School of the Arts.